Hippocrates, the ancient Greek who is viewed as the father of modern medicine said 'Let food be thy medicine, and medicine be thy food'. This statement stemmed from a fundamental belief that all heath problems are ultimately linked to the nutritional content and balance of our diets. But how true is this and how relevant is it to ADHD or attention deficit disorder? The scientific evidence is mixed, but there are a great many people who believe that they are able to manage ADHD symptoms very effectively through modification of diet alone. Current thinking about the effects of diet on ADHD symptoms falls into two camps. The first is that dietary allergens that can cause ADHD symptoms and need to be excluded from the diet, and the second is that certain key nutrients may be deficient in ADHD sufferers, affecting brain development and function. Many individuals are thought to have sensitivities or allergies to specific food components, and specifically to dietary elements called salicylates and artificial preservatives, colours and flavours. These allergies are thought to produce symptoms of hyperactivity and other ADHD traits. The first evidence for food sensitivities as a cause of ADHD was produced in the 1970's, through research into the Fenigold Diet which is a dietary system that excludes all additives from the diet. Further research has shown strong links between hyperactivity and artificial additives to foods, and improvement to behaviour and ADHD symptoms have been demonstrated by eliminating these elements from the diet. Nutritional deficiencies can upset and alter the balance of human metabolism and biochemistry. Some studies have shown that correction of these deficiencies over a period of months can produce marked improvements in symptom severity but there is inadequate research data to draw definitive conclusions. Deficiencies in magnesium, iron and zinc, found in a wide variety of foods. Whilst deficiencies are unlikely to cause ADHD symptoms, they may intensify the severity of any symptoms shown. Few studies have produced conclusive evidence for or against the role of dietary components as a cause of ADHD or ADD symptoms. However, it should be noted that the available research is generally confined to the effect of a single nutritional element on the expression of symptoms. In the complex web of the biochemistry of life, it is very unlikely that there will be a single nutritional component or element that is likely to affect health or cause expression of ADHD symptoms. Instead it is more likely that an optimal balance of dietary components and essential nutrients that will produce an effect on ADHD symptoms, combined with the individual genetics of the affected person. In time, and as the genetic links to ADHD or ADD are better understood, doctors may be able to give more definitive guidance on the effects of diet on ADHD symptoms than is presently possible. To prove the effects of diet on ADHD symptoms there needs to be considerably more research conducted than is currently carried out, and funding will need to be made available through governments and health authorities. Because there is no commercial gain to be made in proving the effects of a nutritional deficiency or food allergy on causing ADHD symptoms, it is highly unlikely that private funding will be made available to prove the case one way or the other. As understanding of the nutritional links to human biochemistry and health increase, it would seem that there is probably more truth in the statement by Hippocrates than current medical and scientific thinking allows. However, it is important to remember that the human genome is different in each and every individual, and what may be true or work in one person may not always be beneficial for a another. The tenet of 'all things in moderation' applies here; excessive doses of vitamins, minerals and other essential nutrients can be harmful. 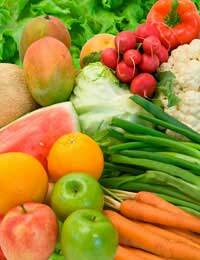 The advice of a qualified nutritionist is always recommended when trying a dietary approach. What is certain is that dietary interventions are drug free, and may produce a beneficial reduction in ADHD or ADD symptoms. As such, dietary interventions are always worth trying to see if they work for you or your child. Keeping a diary of symptoms combined with notes on dietary changes will provide a great deal of information about what actually works (or doesn't) for each individual. Persistence and a trial and error approach may be needed to find what combination of approaches might help in each individual case.